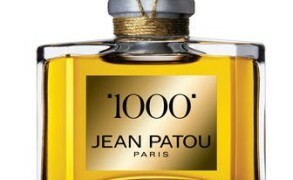 It is my firm belief that all great fragrances are polarizing, eliciting a strong response. Whether you love Clinique Aromatics Elixir or find it detestable, it cannot leave you indifferent. Among the legends of American perfumery, it is a fragrance that deserves a chapter of its own. It is bold and confident, with an unusual combination of sultry darkness and austere elegance that marks the best of American chypres such as Estée Lauder Azurée, Private Collection and Knowing. Some fragrances should be smelled simply to know that they exist, and Aromatics Elixir is one of them. The creator of Aromatics Elixir, the renowned perfumer Bernard Chant, must have been inspired by Christian Dior Diorella, because he used a similar hot-cold accord of patchouli and hedione to weave the structure of this perfume. The end result is very different in character though, with Aromatics Elixir possessing a languid, voluptuous darkness contrasting with the honeyed sweetness of rose and ylang ylang. It opens up on a bitter herbal note laced with lemon, which immediately evokes both Chinese medicinal concoctions and Indian beauty preparations. After this exotic prelude, the fragrance begins to take on an elegant, dry character with amber, patchouli and vetiver becoming more prominent. The floral layers lend a radiant quality to the orchestration, lightening its heft and smoothing out the rough edges. 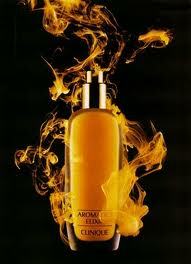 The sweetness is very minimal in Aromatics Elixir, which functions well as a masculine fragrance. Chant went on to explore a similar idea in Aramis 900, and those men who like this leathery chypre might find Aromatics Elixir equally interesting. 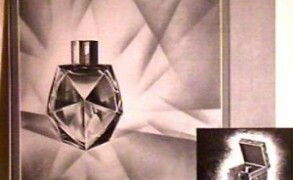 It is also related to Paloma Picasso Mon Parfum and Jean Couturier Coriandre, the dark, femme fatale compositions. Aromatics Elixir was not an immediate love for me. My favorite chypres are lush and velvety a la Guerlain Mitsouko, rather than dark and medicinal. I could appreciate the beauty of the composition, but it seemed like some kind of gorgeous garment that simply did not suit me. As time goes on, I find myself falling more and more under the spell of Aromatics Elixir. Instead of spraying, I dab it on my skin, an application that allows me to enjoy it at a softer volume. Next to the bland florals and sugary gourmands that crowd the Sephora shelves today, it stands out as something otherworldly. While Clinique may not have the cache of some impossible-to-find French niche label, the quality of Aromatics Elixir is such that it can rival most of them. Those who have been wearing Aromatics Elixir faithfully for years will, no doubt, notice changes in the composition which have become more dramatic over the past few years due to various restrictions on the use of oakmoss, eugenol, Lilial and other important materials. Nevertheless, I find that Aromatics Elixir has weathered all of these changes beautifully, and while it is not identical to the original formula (and to be honest, few fragrances are these days!) it is still splendid. Clinique Aromatics Elixir includes notes of rose, chamomile, oakmoss, jasmine, lily of the valley, ylang ylang, patchouli, musk, amber, and sandalwood. Available widely from various retailers and online. nstephens@beachcroft.com: I think Bernard Chant has composed some of my favourites – this, Cabochard and Azuree – though that sounds as if I wear them lots and I don’t because they are quite strong! 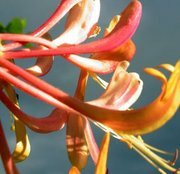 I used to wear Aromatics Elixir in the body cream and had many compliments on it. Lovely review of this classic, thank you. Suzanna: I wore this for a while when I was far too young to attempt to pull it off, and then because it had the cachet of being nearly a secret. I only stumbled across it because at the time Clinique was branding itself as a specialty, almost cult line, and I had some skin problems the line promised to solve. Nancy: The mention of Aromatics Elixir brings back a rush of memories — a good blast from the past, perhaps. My fondness for chypres continues and I enjoyed the review! silverdust: “Back in the day” when I was all of 16 and working afterschool jobs, AE and Azuree were the first things I purchased when paydays came! I smelled Azuree on a customer when I worked as a checker and ran out to buy it ASAP. Alas, it didn’t smell nearly as glorious on me. These days, SA’s never have samples out and normally have just one or two bottles in the display case. They say they aren’t allowed to open one for use as a tester either. What a shame. They are doing a disservice to a great product. Janine Yasovant MPA. : Aromatics Elixir is my passion almost 20 years , strong scent with Aroma (cinnamon ?? )but out of Allergic! more than 5 times I went back to buy..
Raluca: I’ll have to give this fragrance another try. It has happened to me that I did not like a fragrane at first but started to like it later. Austenfan: Thank you for this wonderful review of one of my favourite fragrances. It was Perfumes the Guide that first drew my attention to it. I happened upon a full bottle of the limited edition that was done a couple of years ago, and got it for a song on ebay. The initial blast is strong but after that it wears quite smoothly, and lasts for hours, days even, on clothes. It’s funny; I know that AE is American, yet it feels very French to me. I don’t like many of the Lauders although I am sure they are admirable fragrances. White Linen is an exception as is Calyx. ( Prescriptives was owned by Lauder I think). I like the opening of Private Collection, but not the dry down. I think I tried Knowing once, and did not like it. But testers in shops rarely show perfumes of to their advantage. Musette: I agree. I cannot wear it (migraine-inducing) but I acknowledge its weird beauty and respect the craft that went into creating it. EL and Clinique do get short shrift – and it’s a shame. They do great work! Mikeperez23: Have you smelled the newest Aromatics Elixir Perfumer’s Reserve – it’s in a splash only bottle, says ‘Parfum’ on the box and has to be asked for as it’s not on display? It’s very good and, like you suggested, it wears much nicer than spraying. I have tried to wear AE for many years and every time I do it ultimately doesn’t work for me, but the parfum I mentioned above might be FBW for me. A woman I worked with used to have it as her signature scent & gosh it smelled FAN-tastic on her. Just brilliant. I remember reading Chandler Burr say the same thing in one of his NYT reviews…smelled on someone else to get him interested in it. Lindaloo: So glad you reviewed this. In the 70’s and 80’s Aromatics Elixir and Diorella were the scents I wore most frequently. I was, however, always conscious of and nervous about the intensity of AE and so sprayed lightly. The consequence is that I got mostly the austere aspects (the herbal and woody notes) and little of the florals twining through that smelled so lovely on others I recognized it on, unless I sprayed it on fabric. Suprisingly, it never occurred to me to transfer some to another container and dab it on as you have suggested. I tried it this evening — what a revelation! I’ll be a dabber from now on. One problem still exists for me: I have to resist the urge to sniff frequently (whether sprayed or dabbed) as I become anosmic to AE quite quickly if I keep sniffing at it. For me it’s best caught in unexpected wafts. Madelyn E: I have been wearing and Loving AE since it’s launch in 1971. It is so enchanting and magical for me . You can imagine how many wonderful memories were lived in while wearing this classic. I favor It’s use in thé cols weather. For some reason Aromatics holds on true to itself during the dead of the snow and ice. I have dabbled in the body lotion – but the elixir has enough oomph on its own . Victoria: Thank you for your kind words, Donna! Arielle Dombasle was so beautiful in Pauline at the Beach and Blue Villa. I need to watch them again. Victoria: I do the same thing! When I am in the mood for AE, I find it so addictive that I keep smelling my wrist nonstop. I do love when the whiffs of it appear all of a sudden. Linda Burdett: I put tAE on after giving birth to my now eighteen year old daughter, another new mother commented to me ” I want my daughter to know my ‘ smell’ my reply this is my smell my daughter will know it. Victoria: Sometimes they have no choice, because the regulations force them. Jacquie: I tried it yesterday, the latest formulation. It still smells fantastic to me!